Garage Experts of The Merrimack Valley is owned and operated by Kevin Attar, Stephen George and Paul George. The three life time New Englanders have owned and operated many successful businesses throughout the Northeast and were looking for a new venture when they came across the Epoxy Flooring and Garage Storage Cabinet opportunity at Garage Experts. Their association with Garage Experts marks their first venture into the franchise world and thus far has been very successful. While having been in business just a short time the company has already completed many Epoxy Garage Floor Coating and Custom Storage Cabinet jobs with satisfied customers in Massachusetts, New Hampshire, Maine and Rhode Island. Garage Experts of The Merrimack Valley has expanded its client base from residential garages to include commercial flooring areas that include restaurants, health clubs, car dealerships, animal hospitals and a host of others businesses requiring Industrial Strength Epoxy & Urethane Floor Coatings for Concrete Floors and Custom European Designed Storage Cabinetry throughout the region. When you choose Garage Experts to install your garage floor coating or Custom European Style Garage Storage cabinets, you are supporting a local small business in your community. Because you are dealing directly with the local owners you can rest assured your satisfaction is their number one concern. Stephen and Paul enjoy meeting new people and will go above and beyond to ensure all of their clients - past, present, and future – are 100% satisfied with their custom garage makeovers. 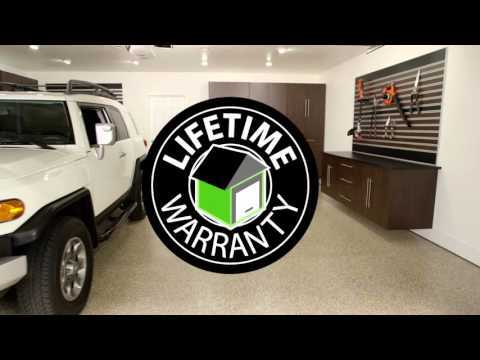 They are dedicated to the success of the Garage Floor Coating and Custom Garage Cabinet business in the Massachusetts area so you can be proud of your Garage Improvement for years to come. GarageExperts of Merrimack Valley is your local garage makeover expert. View some of our recent work.